The third conference day will take place in exactly two weeks. 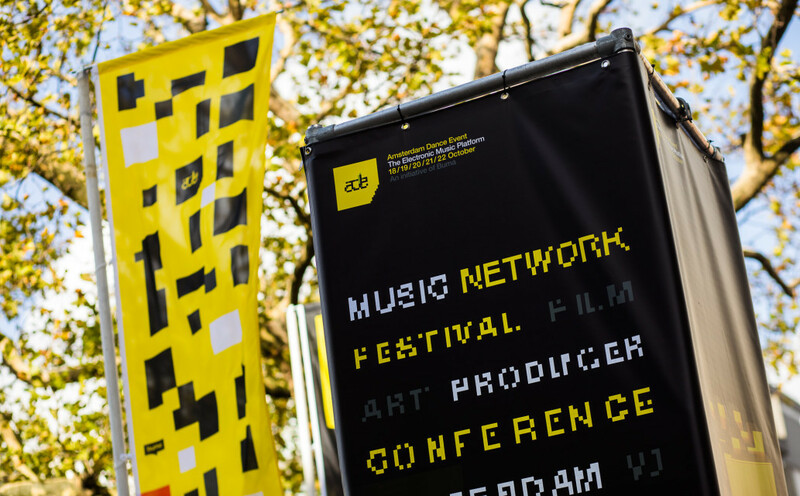 We will be running both ADE Pro and ADE University for its third day and will also be welcoming back ADE Dance & Brands at the DeLaMar and ADE Beats across the street at the Melkweg. The ADE Festival Hangout is the place to be for gear and MusicTalks at ADE Sound Lab. Making his speakers debut at ADE MusicTalks 2018, GRAMMY award nominated artist Bonobo aka Simon Green will discuss his musical journey so far. Aside from his undeniable studio expertise, Bonobo's story is one of the most optimism-inspiring in modern electronic music. From tiny basement clubs of Brighton on the English south coast, where he DJ-ed in the mid-90s, Bonobo has grown to playing arenas and selling hundreds of thousands of records worldwide, all without compromising his vision. His music remains as deep and emotive as it did when he first emerged on Brighton's Tru Thoughts label in 1999. Last year's Migration album charted inside the Top 5 in the UK, combining video art, live performance, orchestration and electronic production. Bonobo is interviewed by Ninja Tune’s own Peter Quicke. So You Think You Can Sync! SYTYCS!, the panel where top musicians with little or no previous sync experience take on creating the music for an advert, is part of this year's Dance & Brands. In August, six composers from the world of electronic music were given a previously unseen commercial with the original sound removed. They then have ‘carte blanche’ to sync music that they have created specifically for the advert, or they can use a piece of existing music edited to fit with the images. The results will then be played to a team of advertising industry experts, led by Grey Worldwide’s Music Director Josh Rabinowitz who will offer their opinions on the approach and relevance of each composer’s effort, the ways in which it affects perception of the action, as well as giving advice about the art of syncing, and how to get the attention of music supervisors. And of course, some of the participants might just find themselves with a new side to their career. Only a very brave individual would choose to be a manager; on the one hand you have needy, immature artists chewing your face off with their ridiculous demands, and on the other you have to deal with rapacious labels, greedy agents and every other kind of low life trying to make a living on the back of someone else's talent. ADE brings together some of the most successful and effective managers in the business to find out their coping strategies, what their favourite stress toy is, and how they manage to stay sane being a manager. ADE Beats welcomes Ghazi Shami, founder and CEO of EMPIRE, discusses how he developed a business model that disrupted the traditional music industry approach towards distribution. EMPIRE played an important part in the early careers of future icons like Kendrick Lamar, Sage The Gemini, Migos, Rich Homie Quan and Anderson .Paak. EMPIRE offers independent artists one-off deals, allowing them and the company to put all their energy towards making one specific project successful. EMPIRE’s way of doing business attracted legends like Snoop Dogg and Too $hort and upcoming talents like XXXTentacion and BROCKHAMPTON. Also at ADE Beats, Dutch hip-hop artist, label owner, poet and actor Akwasi interviews Alex Boateng, A&R, DJ and Head of the Urban Division at Island Records, who will share his insider’s view on the success of the UK urban music scene. As well as managing the current urban roster at Island which includes Drake, Giggs, Sean Paul, Dizzee Rascal, Big Shaq, The Weeknd, Donae’o and many others, Boateng develops partnerships with artists, managers and businesses across the urban scene worldwide. Boateng discusses his coming of age within the urban music scene in the UK, curating his influential mixtape series and building his extensive network, his experience and insight on the urban music industry on a global scale and in his country, and his vision on the success of the national urban music scene, from his key position at the heart of new music in the UK. We are very proud to welcome the legendary Orbital at ADE MusicTalks! From their relatively humble beginnings producing simple but infectious top 20 Pop-Dance tunes to their more recent sophisticated top 5 Pop-Dance tunes, classic albums, film & TV scores and beyond, Orbital have crafted some of the most innovative yet accessible electronic music since their inception in 1989 whilst at the same time retaining great respect for their live work due to their extraordinary shows around the globe which pay as much attention to the live mixing of visuals and choice of imagery, as to the live sound itself. With their many years of experience in the industry, Orbital has seen it all. Come early to secure your spot! Orbital will also perform live at Paradiso on ADE Thursday and Friday. The team at WE ARE PI has put together a dazzling sizzle film to kick off this keynote talk about working with musicians in extreme and highly challenging situations. The aim is to create unforgettable moments that exemplify what can be done when music and brand message are in perfect harmony and shot through with daring creativity. Rick Chant's presentation will be followed by a panel discussing branded events. The panel will be chaired by Alex Bennett-Grant (WE ARE Pi Founder) with Rick, Diogo Pinhero (Heineken) and Alex Lavery (Pitch & Sync). This and more during ADE Dance & Brands. With digital platforms like YouTube and Spotify rapidly growing, independent labels and artist labels are emerging quicker than ever and releasing at a Major Label no longer seems to be the main goal for emerging producers and artists. What are the strategies and influences of these labels on the music scene today? What are the main differences between Majors and these new label models in terms of contracts, artist development and marketing and promotion? How do YouTube Curators evolve into 360 brand and record labels? All these questions and more are discussed in this panel with young professionals from the scene, who are at the forefront of this new wave of independent labels. Want to discover more of the Conference Program? Here are the highlights for ADE Wednesday and Thursday. Also, see what ADE by Day has to offer you on ADE Thursday, Friday and Saturday. Tickets for ADE Dance & Brands (€95,-) are available here. The event is also accessible for ADE Pass & ADE Conference Pass holders, available here. Attend here to stay up to date, more program info can be found here. Tickets for ADE Beats in the Melkweg (€33,-) are available here. The event is also accessible for ADE Pass & ADE Conference Pass holders. The various passes are available here. Attend here to stay up to date, more program info can be found here.